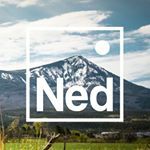 We're searching the globe for the best natural remedies and restorative traditions, bringing home the best of the best to share under the Ned label. Our first product line is a collection of Full Spectrum Hemp (CBD) products from our backyard of the Rocky Mountains. We launched with four products - 3 CBD tinctures and 1 CBD infused body butter. All are small batch, gently extracted, and crafted with love from seed to bottle. We support local and independent farmers and producers and are members of 1% for the planet, giving 1% of all sales back to the environment.